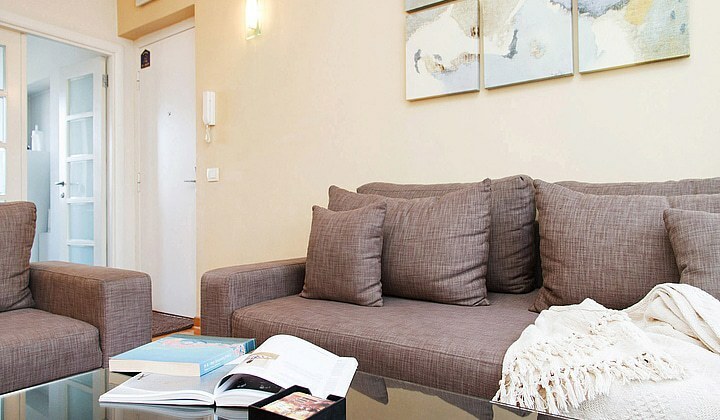 Magnificent in every aspect, two bedroom Skadarlija apartment is attracting with surpassing architecture, providing 56 square meters of elegant usable area. 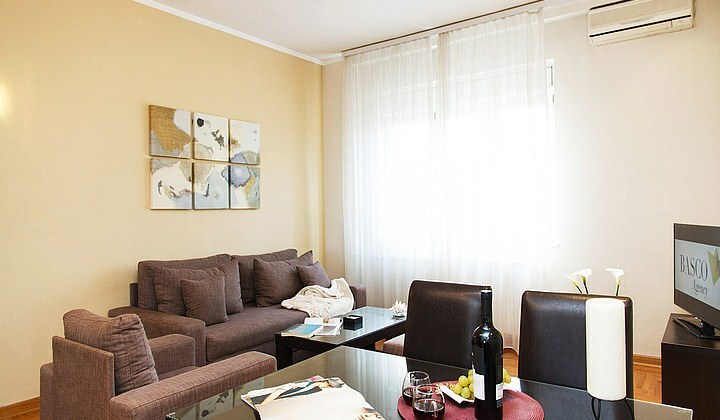 Fully renovated and completly furnished apartment complies highest quality and aesthetic criteria and is suitable for six persons, for either short or long term rent. 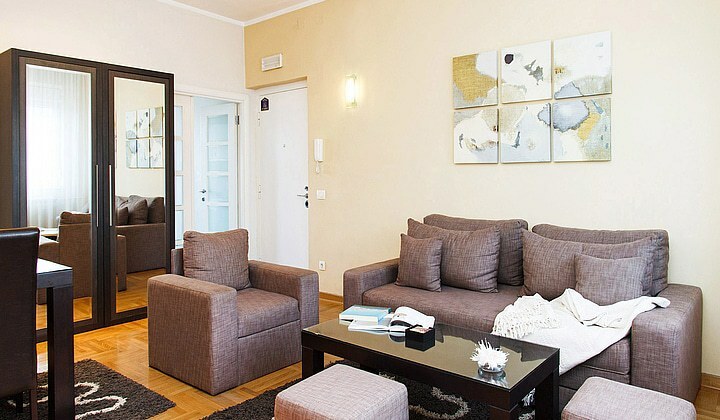 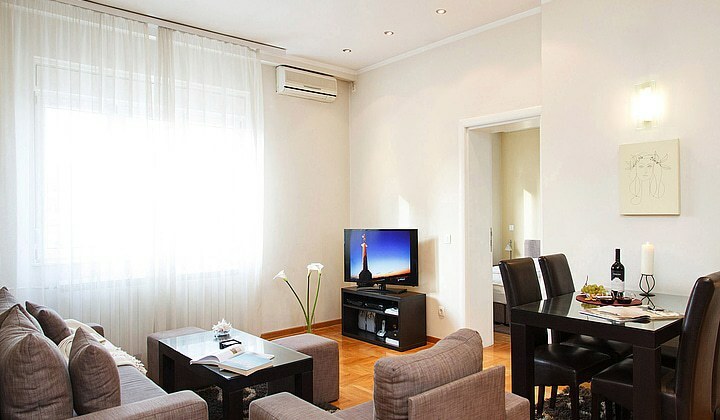 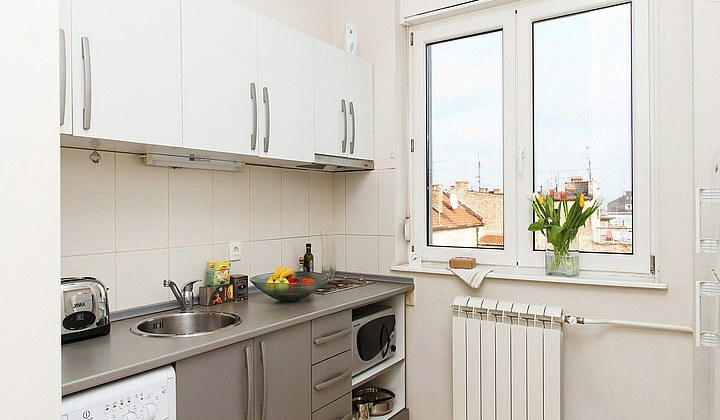 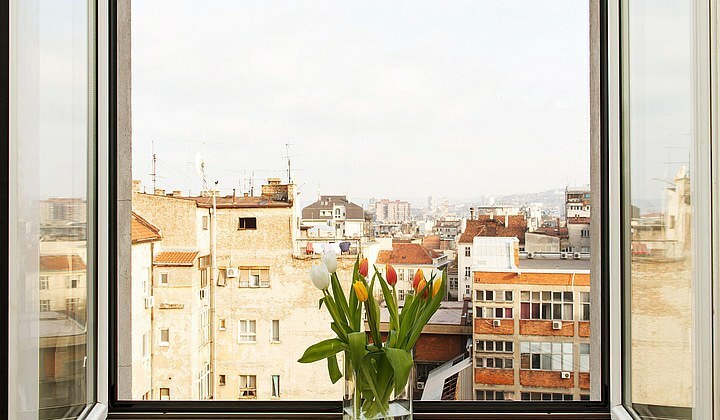 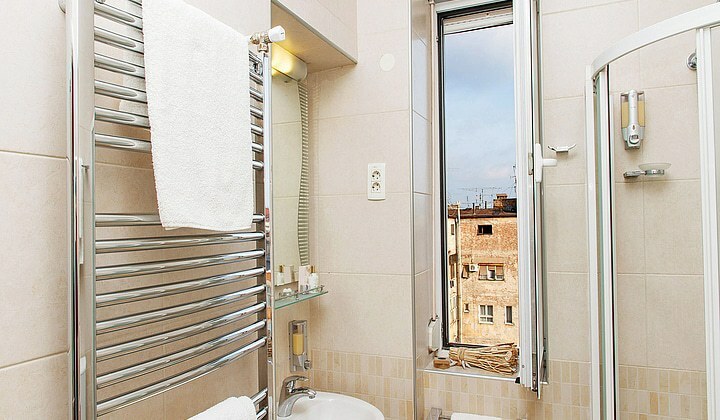 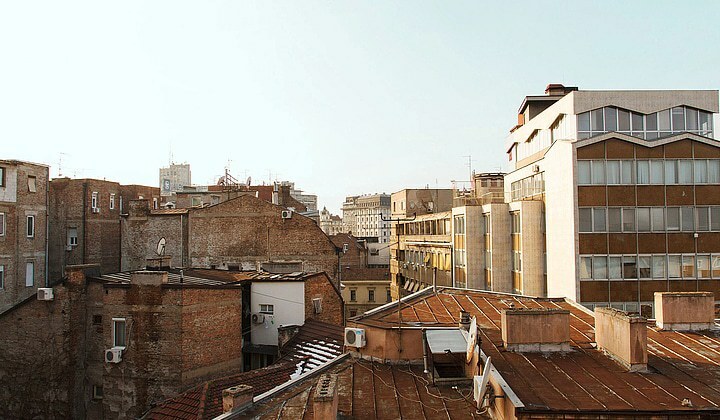 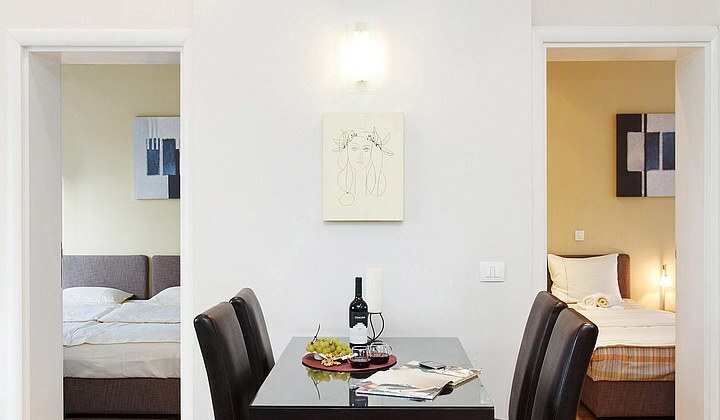 With an impressive address in Belgrade downtown, the two bedroom apartment Skadarlija is conveniently located 2 km from Main Railway Station and comes with fast access to famous old restaurants, that are set within 20 meters walking distance. 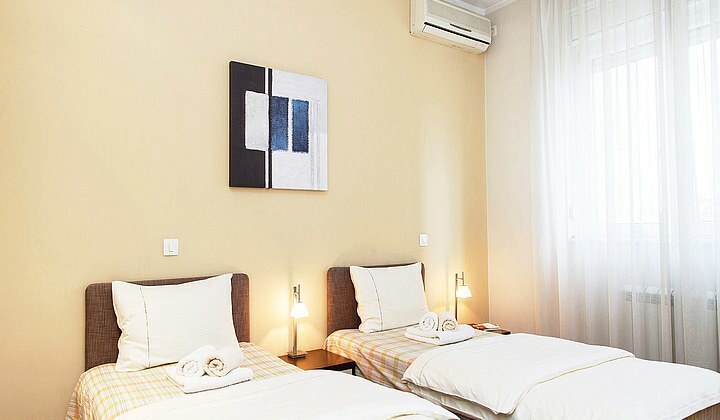 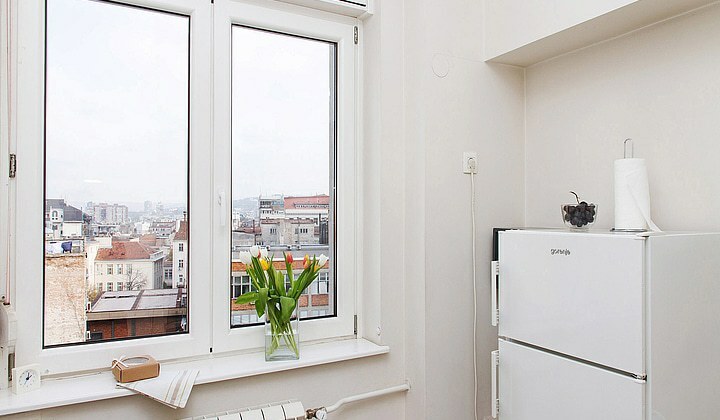 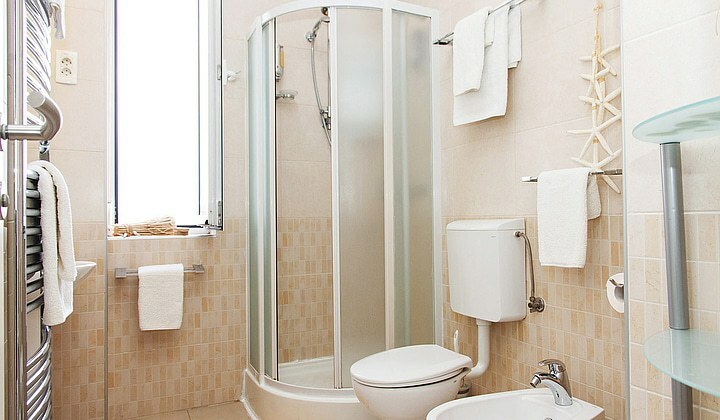 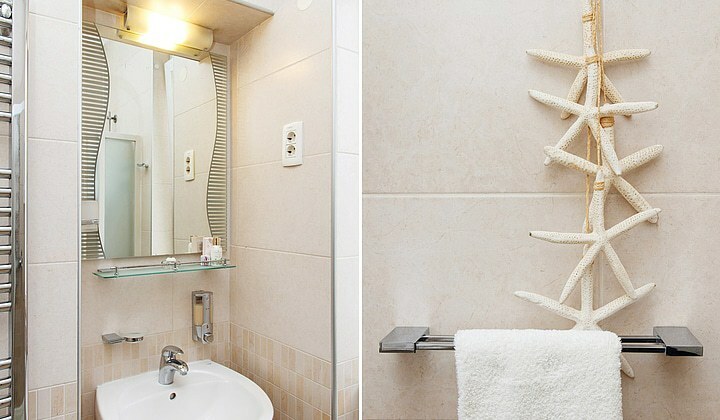 Apartment is situated on Skadarska Street, on the 7th floor of a building equipped with an elevator and intercom and contains two bedrooms with two high quality single beds each (that can be put together into one king size bed), living room with high quality sofa bed for 2 persons, a fully equipped kitchen and a bathroom. 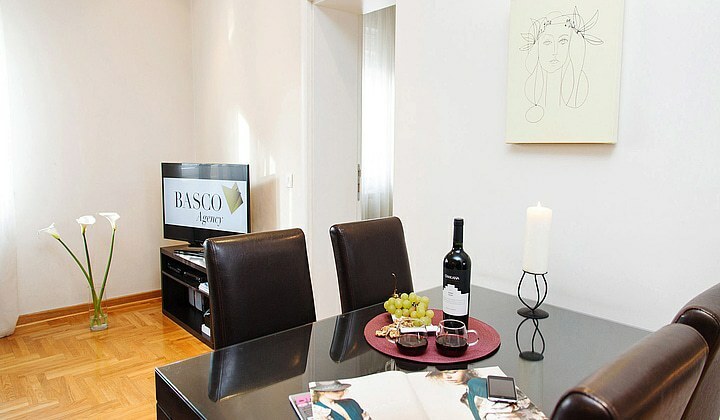 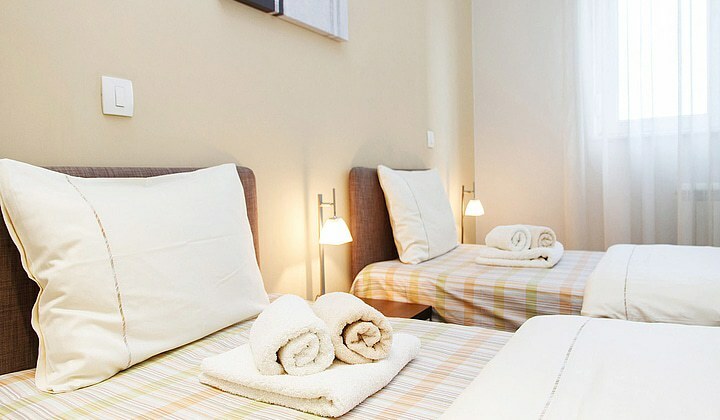 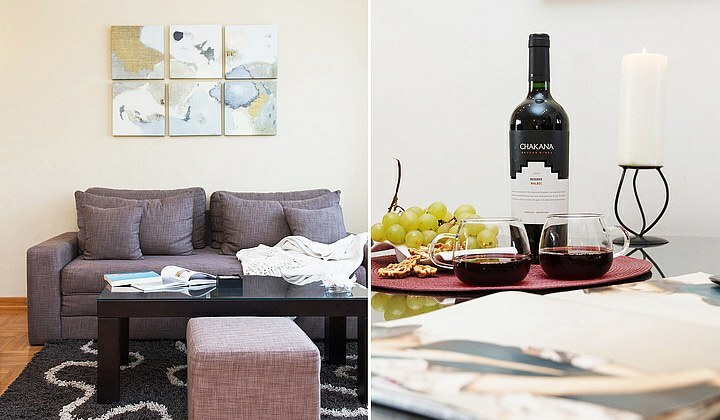 The apartment is suitable for up to 6 persons. 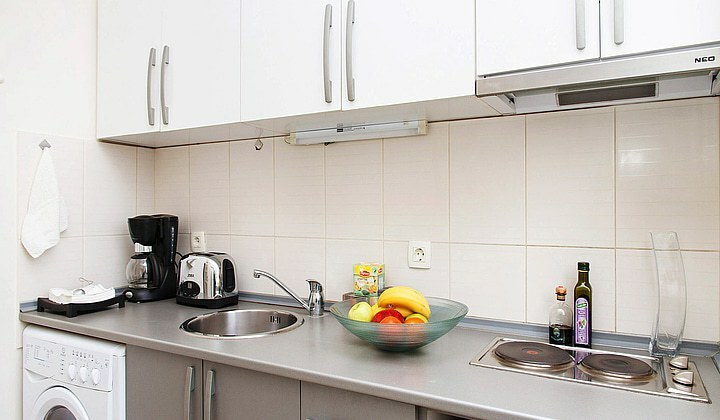 Room amenities: Kitchen, Refrigerator, Stove, Tea/Coffee maker, Electric kettle, Toaster, Microwave, Dining area, Shower, Free toiletries, Hairdryer, Slippers, City view, Garden view, Air conditioning, Heating, Safe, Clothes dryer, Desk, Iron, Private entrance, Seating area, Sofa, Wardrobe/Closet, Soundproofing, Washing machine, Carpeted floor, TV, CATV, Flat-screen TV, CD player, DVD player, Radio, Telephone. 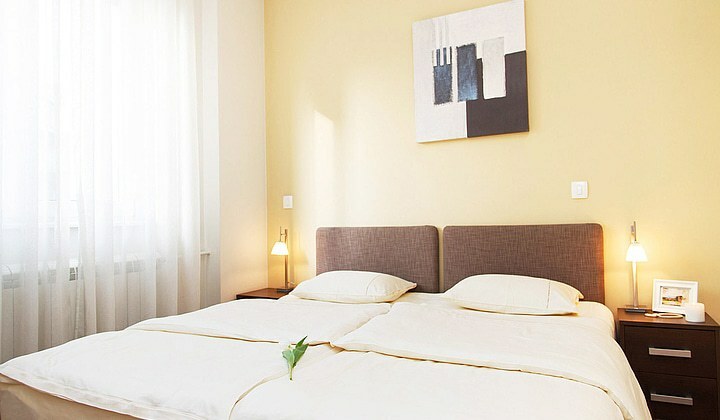 Bed size(s): 4 Single bed (90-130 cm), 1 Sofa bed (Variable size). 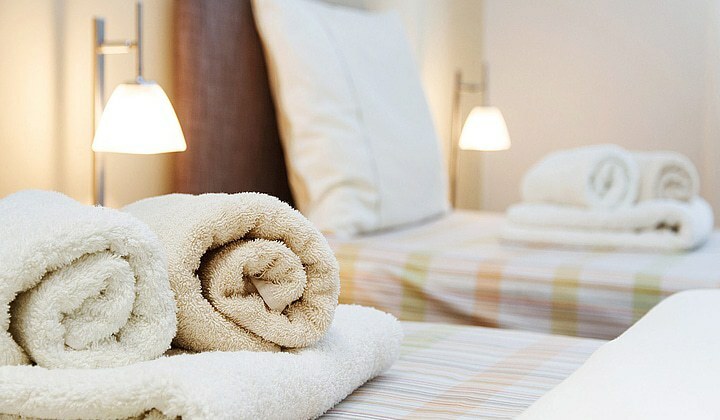 Property facilities: Wi-Fi, Smoking area, Air conditioning, Heating, Safe, Elevator, Express check-in/check-out, Gay friendly, Airport shuttle (surcharge).